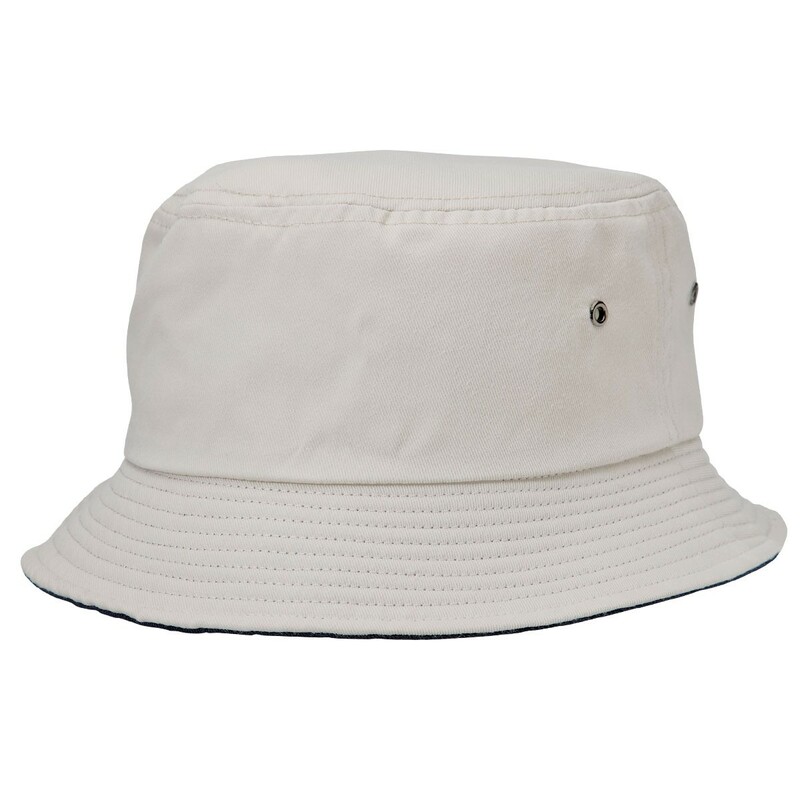 Cotton Twill Bucket Hat - contrast colour under brim, padded cotton sweatband, gunmetal eyelets. stone/navy. Sizes - S/M, L/XL. Decoration - embroidery, print.